Castillo, J. [et al.]. 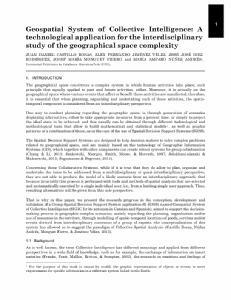 Geospatial system of collective intelligence: A technological application for the interdisciplinary study of the geographical space complexity. A: Collective Intelligence Conference. "2015 Collective Intelligence Conference". 2015, p. 1-4.